Syedah Aamena Radi Allahu anha stated that as soon as the labour pains of childbirth started, an angel came and ask her to drink from a cup in his hand. This drink was whiter than milk and sweeter than honey. As soon as she drank this heavenly drink her pain disappeared and all fear left her. Syedah Aamena Radi Allahu anha then saw the gates of Heaven open. The Angels came for the adoration of the new babe. Three Angels went towards the Kaa’ba. One Angel stayed over the Kaa’ba, one went to the East and other went towards the West. A light then Spread out lighting up the Universe. In this miraculous light, Syedah Aamena Radi Allahu anha stated , She could see distinctly the palaces of Palestine and Syria. Then Four unkown ladies appeared miraculously before Aamena Radi Allahu anha to attend to the childbirth. The First, who was very tall, said, she was Eve Radi Allahu anha, the mother of mankind. The Second was Sarah Radi Allahu anha, the mother of the Prophet Issac Alaih salaam, and the grandmother of Jacob Alaih salaam, whose children were the Israelites, to pave the way for the forgiveness of the Jews, if they followed this child Muhammad Salla Allahu ta’ala’alayhi wa sallam. The Fourth was Queen Asiya Radi Allahu anha, daughter of Mazahim. She was the wife of the Pharaoh of the time of Moses. She was that queen of Egypt who brought up Moses from a little child when he was found floating in the basket on the river Nile. She was the first person in the Pharaoh’s court who belived in Allah ( Azawajal ) upon seeing how small miraculous snake made by the staff of Moses ate up the bigger snakes of the Egyptian magicians. Whereupon the enraged Pharaoh tortured her severely, but in spite of this she refused to give up her faith. Pride is the offspring of self-conceit, and this is the very negation of faith. Pride and faith cannot go together. Imaan inculcates in man the spirit of humility and submission to Truth. Pride is the expression of vanity, which is one of the greatest hurdles in the path of truth. The self-conceited man accepts nothing, which does not satisfy his vanity, and, therefore, he cannot be a true believer. He is a worshipper of his “own self”. The Holy Prophet (sallal laahu alaihi wasallam) said: There is no greater charity than a man’s spending his money for the members of his own family. He further said: Gift and charity to the poor kinsmen bring double rewards than that to strangers. And he said: He who joins (blood-tie) is not a perfect man, but it is he who joins blood-tie when it has been torn asunder. The Holy Prophet (sallal laahu alaihi wasallam) said: No mercy descends upon the person among whom there is one who disregards the ties of blood. Sayyiduna Rasoolullah (sallal laahu alaihi wasallam) had a great love and affection for his own children. 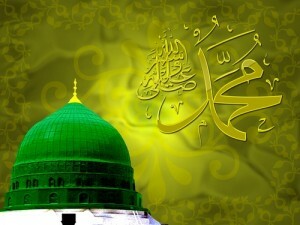 Whenever he took a journey or returned from it, he used to see his beloved daughter Sayyidah Fatima (radi Allahu anha). Whenever she came to him, he used to stand up and make her sit by his side and kiss her on forehead. 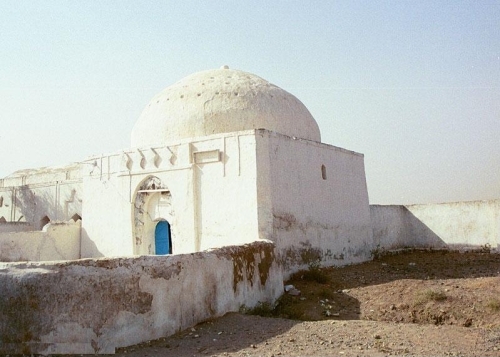 Sayyiduna Anas (radi Allahu anhu) reported that the Holy Prophet of Islam (sallal laahu alaihi wasallam) used to go everyday on foot to Awali, a place 3 to 4 miles off from the town of Madina to see his son Sayyiduna Ibra’heem (alaihis salaam) who was being brought up there at that time. He used to take him in his lap and kiss him. Sayyiduna Rasoolullah (sallal laahu alaihi wasallam) was the most ideal husband and pleasant companion. His treatment with his wives is the most exemplary. As a husband of an old wife, as a husband of a young wife, as a husband of a widowed wife, as a husband of many wives, as a husband of a wife living in foreign land or in foreign faith, the Holy Prophet (sallal laahu alaihi wasallam) was a true ideal and a model for mankind. In the whole period of his married life, he did neither administer a single rebuke to his wives, nor give a beating even with a slight a thing as a tooth-stick. His treatment with them was the most cordial. He regarded them as co-partners in happiness as well as in distress, but never the idea crossed the threshold of his mind that they were for his sexual luxury. He used to say: The best of the commodities of the world is a virtuous wife. And he said: The best of you are those who are the best of you to their wives. He further said: Prayer, perfume and wife have been made a solace to my eyes. Everything with which a man plays is unlawful except his sporting with his wife. Note: Fasting is a protection from Shaytaan or from Allah’s punishment in the Hereafter. One who indulges in sins whilst fasting such as lies, backbiting, etc., they become the cause of the fast becoming wasted.